Zaahn, Because One Side Does Not Fit All! 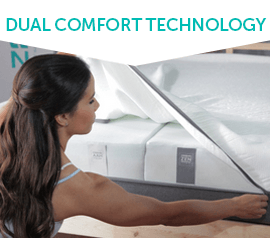 Multiple Comfort Options In One Mattress! Personalize YOUR size of the mattress by turning just one half over. YOU can choose the firm side, and your partner can choose the softer side! 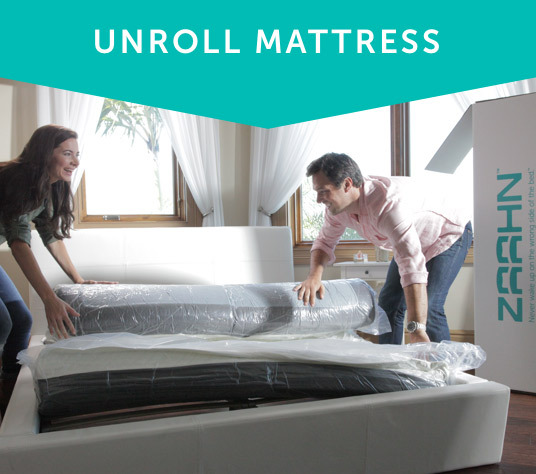 Your mattress arrives on your doorstep, free of charge, in an easy to move box. 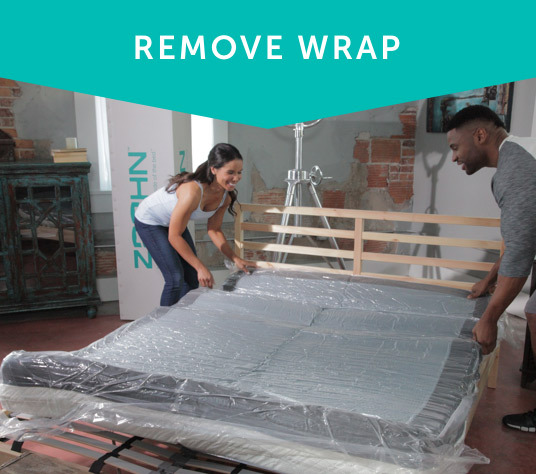 Place the Zaahn mattress, still rolled, on any flat or slatted surface, and begin to unroll. Gently remove the plastic outer cover. Immediately, your Zaahn mattress will begin to expand. With Comfort Technology, it's just a "Zip and Flip" to choose the AAH side for a softer feel, or the ZEN side for a firmer sleep. 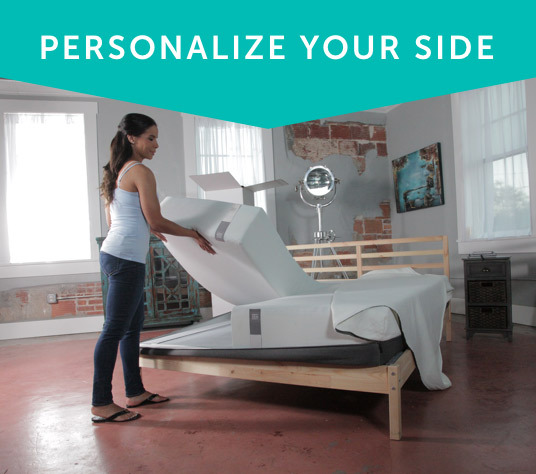 Zaahn's Innovative Partner Design lets you customize your side of the bed. 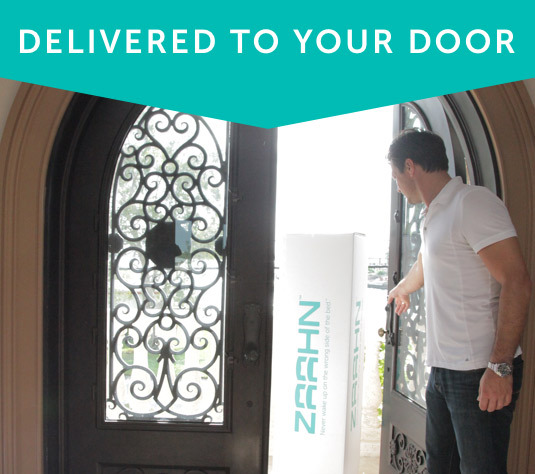 Your Zaahn mattress should be ready to sleep on within 2-5 hours. Enjoy your personalized sleep experience! *$300 Total Savings includes a Free Pillow ($99 retail value) plus an instant discount of $200 off the regular mattress price.